Bustling New York City – dubbed ‘the city that never sleeps’ – can be exhausting so it’s quite inviting to sit with a cup of tea and scones in a space that exudes calm and peace. Whether you want a view of the skyline, Central Park, iconic yellow taxis driving by, or a themed menu and venue, there is something extraordinary for you in the arts capital. 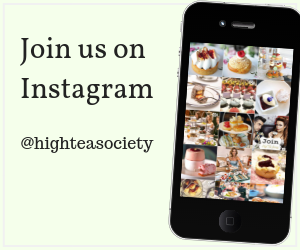 The High Tea Society contributors have the terribly difficult task of tasting a lot of afternoon teas each year, meaning we have a pretty good idea of where to go. We like to give venues a star rating so the talents behind it all know just how incredible their work is. These listed desired destinations for afternoon tea range from traditional and classic to quirky and surprising. Gluten-free options are also available at most salons. 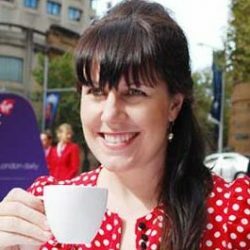 The British tradition of having ‘high’ or ‘afternoon tea’ dates back to the mid 1700s. Funnily enough though, this now girly and lavish excursion was originally a meal for male workers, enjoyed standing up or sitting on tall stools, thus ‘high’. Oh, how the times have changed… You can read more about the extensive history here. The Star Lounge is all class with its wood panelled walls, leather and fabric backed chairs and lounges, glass topped marble tables and soft lighting. A tea unique to this venue is the Nutcracker Seasonal Blend, which features a full-bodied Ceylon black tea infused with the rich flavors of hazelnut and aromatic vanilla. Tempting sandwiches include the Mini Smoked Duck Reuben, Vodka Dill Smoked Salmon and Porcini Mushroom Duxelle. Opposite the Museum of Modern Art, this luxury Midtown hotel offers incredible savories such as the Maine Lobster Salad with Parsnip on Black Sesame Pizelle. Delicious desserts include: The Raspberry Éclair, Raspberry Mousse Tartelette and Red Velvet Macaron. While we are on the topic we should also mention the spectacular rose-colored drinks including both cocktails, mocktails and an exquisite rosé. Who says afternoon tea has to be sans alcohol? The hotel is located near the iconic shops of Fifth Avenue and is within walking distance to the Museum of Modern Art (MOMA) and Central Park. After spending some time shopping in the packed and tourist filled shops, going into The Whitby’s Orangery for afternoon tea is a necessary haven. The venue lives up to its name with orange walls and lots of plants on the tables, against the walls and even in the designs of the comfortable and colorful chairs. Looking up, natural light floods the room with its skylight windows. The traditional afternoon tea package has some fun bite-sized items like a beef slider and empanada – a nice break from traditional cucumber sandwiches – whereas the healthy afternoon tea includes vegetarian options with beets, cucumbers and avocado. Also, there’s a nice range of desserts in both packages, from chocolate to fruity and sugary mini tarts to cakes. Members of the Russian Imperial Ballet founded the Russian Tea Room in 1927. Located just two blocks south of Central Park in New York, this historic venue provides an ornate and regal take on afternoon tea. A standout is the Rooibos Chai, a South African red bush tea with Indian spices. If it’s bubbles you need, the Champagne Pierre Jouet, Grand Brut Moët or Chandon Rosé are at your disposal. Delicious treats include the NY smoked sturgeon with dill and sour cream, Roquefort blue cheese and apples with walnuts or Shrimp salad with remoulade. What makes the Crosby Street Hotel truly special is its interior design, which is displayed in The Crosby Bar where afternoon tea is served. With several options for seating, like outside when weather permits, to inside on a chair with a bright mix of purple, orange and green tones, this is a place to have afternoon tea with a stylish yet casual feel. The Crosby Street hotel offers two afternoon tea packages: traditional and gluten-free. Regardless of your dietary requirements, we recommend the gluten-free scones, as they were our favorites on the menu. We just loved the flavors of spices such as cinnamon. What could be more exciting and elegant than afternoon tea at the famed Plaza Hotel, home to beloved children’s character Eloise? Reminiscent of Fitzgerald’s ‘The Great Gatsby’, this classic venue is ideal for a posh tea service, fit for a New Yorker. In the midst of the city’s most prestigious shopping, restaurants, historic museums and exciting Broadway theatres on Fifth Avenue there is The Peninsula. Gotham Lounge at the renowned hotel offers a premium tea selection as well as an impeccable afternoon tea including Maine lobster salad and a Warm Croque Monsieur with forest ham and Gruyere cheese. You can upgrade to the Champagne Afternoon Tea or if you’re feeling especially self-indulgent, the Grand Afternoon Tea which offers 1oz of American Sterling or Ossetra caviar. Located in the heart of New York City’s Gramercy Park, here at this Victorian styled venue you can enjoy a scrumptious five-course tea from Wednesday through to Sunday. Guests are spoilt for choice with a variety of classic finger sandwiches, fresh baked scones with clotted cream and jams, and a large selection of fine teas. Located on the seventh floor of Bergdorf Goodman, this eatery has sweeping views of Central Park. It boasts an impressive list of teas including the Jardin Bleu, a blend of teas from India and China, flavored with rhubarb, wild strawberry and cornflower petals. You can also get giggly with a glass of Veuve Clicquot. Afternoon tea is a treasured experience at The St. Regis New York and remains its most exquisite culinary journey. We see this as a great excuse to visit the iconic filming location for the amazing ‘The Devil Wears Prada’. The menu is exquisite including delicious numbers such as the Lump Crab Salad with lemon vinaigrette and a brioche roll. If only we could list all the sweet, strong, spicy, smoky and just sensational teas. They’re all as exciting as the Leon Mango Tango, that balances zesty lemons with the sweetness of mangoes. Inspired by the sultan’s dining room at the Topikapi Palace in Turkey, The Gallery at the Carlyle Hotel is an exquisite, private retreat for refined dining. Coffee lovers need to try a Stumptown French Press Coffee here, a perfect accompaniment for English Scones served with Devonshire Cream and Strawberry Preserves. 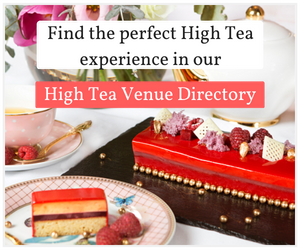 Afternoon Tea New York – find more ideas in the High Tea Society Venue Directory.